This volume brings together the most important elements of the genius of W. E. B. DuBois, Harvard’s first African-American graduate and arguably the father of American sociology as well as the premier twentieth-century intellectual activist. 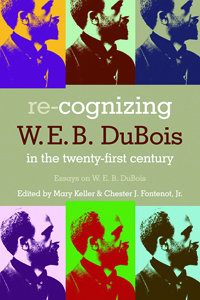 The range of essays discuss DuBois’s breadth of genius as an essayist, novelist, sociologist, philosopher, cultural critic, African historian, historian of African religions, Pan-African activist, and philosopher. Many of the essays offer new research such as links to a college choir that sing the songs from the Souls of Black Folk as a backdrop for considering the role of synaesthesia and transitivity in Souls; fieldwork from Ghana regarding DuBois’s early connections with Ghana as well as contemporary political framing of DuBois as a Ghanaian; chronological study of the role of messianic characters in DuBois’s several novels; a perspective from the new field of rectificatory ethics regarding where DuBois would stand on the issue today. David Chidester, Robin Law, and Charles Long, internationally recognized experts in their fields, contribute groundbreaking revaluations that will direct further research agendas in DuBois studies. This collection is framed by the problem of religion and echoes DuBois’s 1903 claim that the problem of the twentieth century would be the problem of the color line. In 2006, the claim is that the problem of the twenty-first century will be the problem of the religious color line so that in order to understand our century’s problem we need to understand and apply the work of the genius who first understood the analysis of subjectivity and history as a problem.